Robert (604) 936-4602 4-850 Barnet Hwy. Port Moody British Columbia V3H 1V6 ? ? ? ? 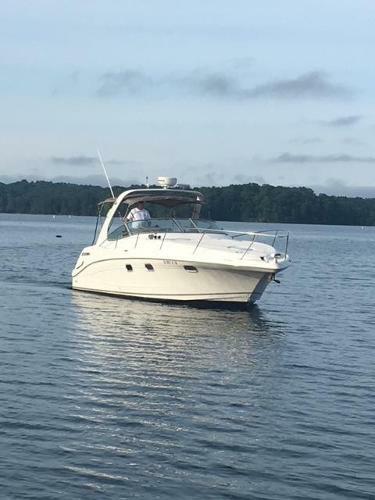 Silver Streak 18-6 RUNABOUT HARDTOP Vehicle Information Year: 2017 Make: Silver Streak Boats Model: Condition: New ? ? ? ? 1 of 26 ? View Large Images ? ? 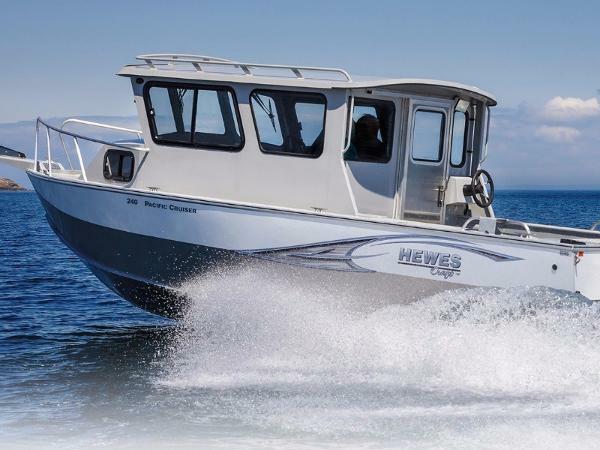 Description The Silver Streak Hard Top Challenger is the best fishing, utility and commuter boat available. It is small enough to limit slip fees and light enough to be easily trailerable. All Silver Streaks come standard with solid aluminum, welded decks so there is no wood to rot or carpet to scrub clean. Built with a deep Vee hull that gives a smooth and comfortable ride when the weather picks up. And when the weather does pickup you will be warm and dry under the hardtop as you run on the worst of days. 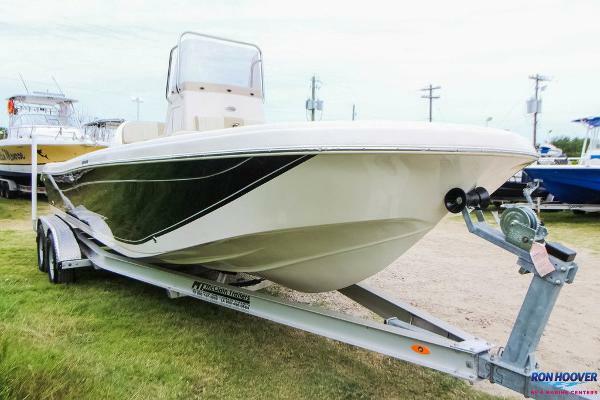 This boat has been fully outfitted to be a turn key sport fishing machine with the latest in Garmin electronics and scotty downriggers you will be able to find the fish, hook’em and then throw them in your fish box for the ride home. - Mechanical *Mercury 150XL FOURSTROKE*Mercury 9.9ELPT CT PROKICKER*Kicker Engine with Controls at Helm and Steering Tie Bar*Flush Mount Mechanical Controls and Dual Smart Craft Gauges*Single engine, single station hydraulic steering*Battery- dual SRM 24 batteries includes 4-way switch, boxes & wiring - upgrade *Bilge pump - 1250 GPH automatic bilge pumpBuilt in fuel tank- Trailer*Make: Roadrunner Model: RR4000TA-TA- Console*Garmin 840XS with 18" Radar*VHF - Cobra VHF radio with GPS, DSC incl. stainless steel mount & antenna*Stereo - 200 watt bluetooth system with (2) flush mount speakers*6-way breaker panel in dashboard – upgrade*Electric Wiper - (passenger) heavy duty electric wiper with self-parking & switch*Pantographic wipers*Heavy duty aluminum-framed windows12V power socket with USB port & LED lightElectric wiper - heavy duty wiper with self-park & switchExternal motor bracket for single 25" shaft engine with auxiliary mount and full width platformGlove box - welded/locking- Deck/Cockpit *Rod holder - 2 sets of 3 welded rod holders bolted to cabin top sides*Net holder in port gunnel*Scotty 1105 Swivel Downriggers with wired plugs*Transom hand rails with downrigger mounts & cupholders*Transom exit door (port side)*Folding swim ladder with transom grab rail*Deck wash down pump*Radar post with antenna wings*Tow post on cabin top/arch for tubing/skiing - 300 lb towing capacity rating*Anchor roller upgrade - heavy duty, stainless steel on bow (BRM2)*Light - cockpit light (LED) in welded housing*Lights - low level (LED) passage way lights (4)*Light - (red & white dome-style) in cabin, vee-berth or head*Lights - flush mount LED lights on transom*Non-skid paint on gunnels*Nyalic clear coat protection on hull sides and transom*Nyalic clear coat protection on hard top or cabin*Poly White Clear Coat on Interior & Exterior of Cabin and Cockpit*Drop curtain - Dark GreyNon-skid paint on bow & main deckClosing storage in transom (locking battery compartment)Side storage trays - full lengthNavigation lights (LED)Fully welded (non self-bailing) aluminum cockpit deck with inspection hatches for fuel connections and wire waysFully welded hard-top with 2-piece rubber-framed aft-leaning windshield & (2) aluminum framed sliding side windows9" welded aluminum cleatBow locker under dashBow railing - low profileChain locker - self draining with light duty anchor rollerCup holderFish box in rear gunnel with cutting boardUnder deck storage compartment in cockpit deck- Seating *Armrest - upgrade (per seat)*Foot rest (folding) for helm seat*Helm Seat slide – upgrade*Black Pedestals and Seat FramesStorage bench seat with backrest and vinyl upholstery (Size: 36"x14"x14")Vinyl upholstered swivel seat on shock absorbing Back-saver pedestal- Standard Features Brackets for transducer & sacrificial anodeWelded bow & transom eye with stainless steel insertKeel guard on hull bottom (beaching wear strip)Flotation - closed cell polyurethane spray foam under decks & gunnelsChines & gunnels fully weldedSide stiffenersOne piece bottom with 4" reverse chineHandrails - cabin-topDrain plug ?Credit Application ?Directions to Dealer ?Contact Us Options and Standard Features Basic Information Year: 2017 Make: Silver Streak Boats Stock Number: 18-6 RUNABOUT-HT CHALLENGER VIN: QSMHT877H617 Condition: New Use: Not Specified Length / Beam Length (Feet): 0 Engine Primary Fuel Type: Gas ? Apply Now Secure Credit Application Applying for a vehicle loan online is one of the quickest and easiest application methods. Our secure application is easy to complete, all you need are a few personal and employment details. Contact Inlet Marine 4-850 Barnet Hwy. 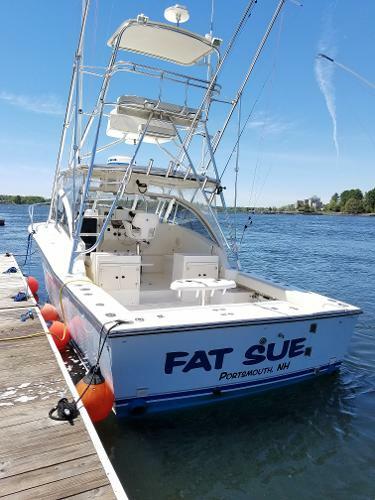 Port Moody British Columbia V3H 1V6 View Map Ask for:Robert Contact: ?Contact Us Primary Phone:(604) 936-4602 Hours Mon-Fri:09:00 AM-05:00 PM PST Saturday:09:00 AM-03:00 PM PST Sunday:Closed Terms Placing a Bid: Your bid constitutes a legally binding contract to purchase this vehicle. Please do not bid if you're not seriously interested or financially able to purchase this vehicle. Please read eBay's User AgreementInlet Marine reserves the right to, Obtain and verify the registered information of all users who bid on this auction. Cancel any and all bids at our discretion, or end the auction early if necessary.Bidders Age: You must be 18 years of age or older to Bid. Special eBay Bid Retraction Rules: Please read eBay's "Retracting a Bid" If you place a bid before the last 12-hour period of the auction: You may retract that bid before that last 12-hour period but only for exceptional circumstances. You will not be allowed to retract that bid during the last 12-hour period of the auction. If you place a bid during the last 12-hour period of the auction: You will be allowed to retract the bid for exceptional circumstances but only if you do so within one hour after placing the bid.Funds & Financing: For help in arranging for a Pre-Approved loan or for any questions please e-mail or phone Robert at(604) 936-4602 prior to bidding. Buyers Inspection: Inlet Marine has done our best to disclose all information known about this vehicle for auction. Inlet Marine welcomes a buyers inspection. If you plan to have a buyers inspection, please make sure you inspect the vehicle prior to the auction ending. Inspection fees if any are Buyers responsibility. Representations and Warranties made by seller: This vehicle is being sold "as is". Manufacturer's warranties may still apply. Extended warranty may be available, e-mail or phone Robert at (604) 936-4602 for details. No representations or warranties are made by seller, nor are any representations or warranties relied upon by bidders in making bids. Taxes and Registration fees: Out of state buyers are responsible for all state, county, city taxes and fees, as well as title service fees in the state that the vehicle will be registered. All taxes and fees must be paid in full in order for vehicle to be titled and registered. Title Information: Vehicles titles may be held by banks or lenders as collateral for loans. In many cases there is a delay in receiving the original instruments up to 21 days from the time we pay a vehicle off. While we usually have all titles in our possession at closing, there are occasions where we may be waiting for them to arrive. If payment is made by cashier's or personal checks we will hold all titles for 10 days or until funds have cleared. Shipping & Delivery: All shipping charges are buyer's responsibility. Inlet Marine will help with shipping arrangements but will not be responsible in any way for claims arising from shipping damage!Licensed Carriers are generally insured for $3,000,000.00. We assume no responsibility for damages incurred after the vehicle leaves our showroom. 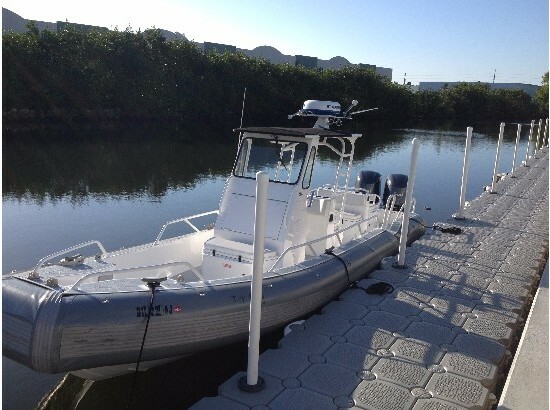 All shipping arrangements are provided by Inlet Marine as a courtesy. We are not affiliated with any carrier. Any claims or other communication regarding shipment of vehicles will be between you and the shipper, not with Inlet Marine. The amount of time it takes for delivery is dependent on the carrier, but is generally 7-14 days from the date the vehicle is picked up from our facility until it is delivered to your destination. Verify with the shipper for an Estimate Time of Arrival to be sure. Finalizing your Purchase: Inlet Marine will contact the successful high bidder by e-mail after the auction closes. 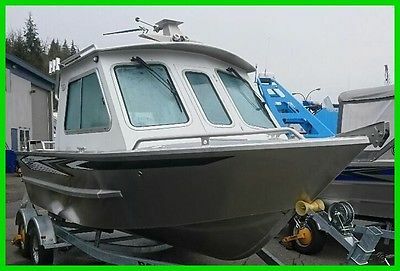 Successful high bidder MUST communicate with Robert at Inlet Marine by e-mail or phone(604) 936-4602 within 24 hours of the auction ending to make arrangements to complete their transaction. If we cannot confirm your intention to buy or the sale is not completed within 5 days, we reserve the right to relist this vehicle or sell to any other qualified buyer. In order to secure bid on vehicle, Successful bidder (BUYER) must within 24 hours of bid closing send to Seller a Deposit in the amount of 10% by major credit card, cash in person or bank certified funds. Within 72 hours of bid closing, Buyer must send balance of funds by cash in person or bank certified funds to Seller. At time of sending initial deposit, Buyer MUST fax copy of their State issued valid Driver License. Furthermore, before said vehicle is released for shipment to Buyer, all other Sale related and title related paperwork must be signed and returned complete to Seller. Copyright © 2017 Auction123 - All rights reserved. - Disclaimer +- Auction123 (a service and listing/software company) and the Seller has done his/her best to disclose the equipment/condition of this vehicle/purchase. However, Auction123 disclaims any warranty as to the accuracy or to the working condition of the vehicle/equipment listed. The purchaser or prospective purchaser should verify with the Seller the accuracy of all the information listed within this ad. Selling a Vehicle? Create Professional Listings Fast and Easy. Click Here! 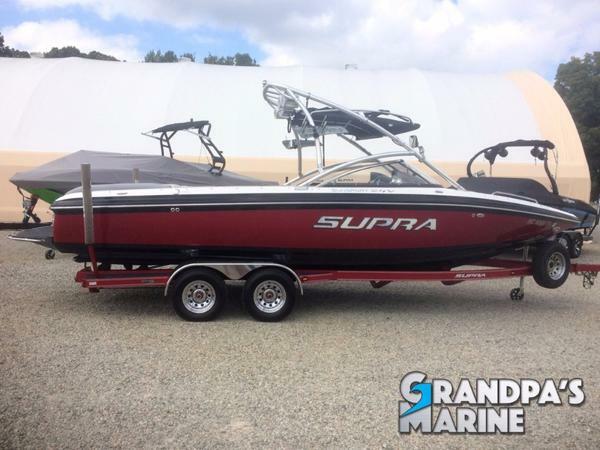 2007 Supra SUNSPORT 24V 2007 Supra SunSport 24V **This Sunsport 24 V is the largest family boat Supra has ever made, stretching to 24 feet, with a maximum-trailerable width of 102 inches. It's actually a slightly tamer version of the Launch 24 SSV wakeboarding machine that the company debuted to much fanfare for '06. 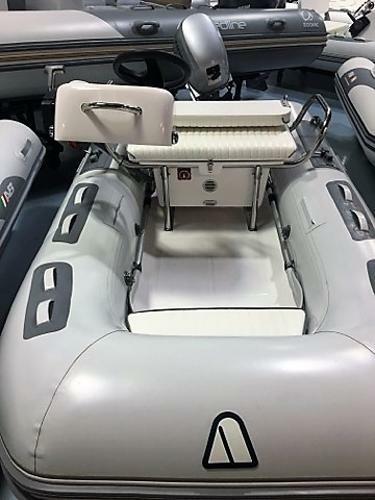 That connection has this 24 V uniquely positioned to appeal to people looking to accommodate loads of family and friends on bigger water while still maintaining exceptional wake performance. After all, no other family boat can claim to have towed some of the best wakeboarders in the world at the Gravity Games. PERFORMANCE ANALYSIS When this wakeboard and ski boat is maxed out with the full wakeboarding package, there's really no difference between it and the Launch 24 SSV, except that it has a walk-through bow instead of a playpen. So whether the kids are just getting into wakeboarding or looking to practice for competitions, the Sunsport 24 V could be the ticket. 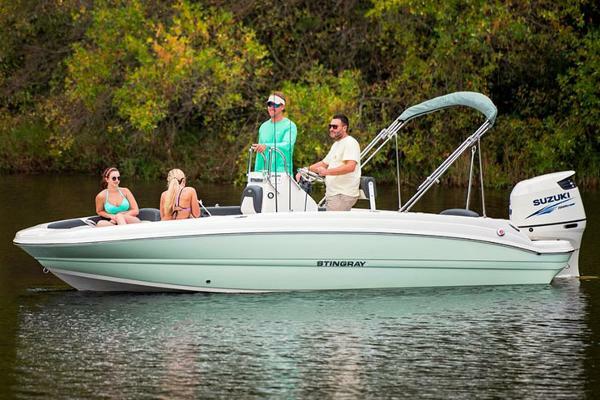 Keep the extra ballast to a minimum, and the boat's weight alone will kick up good-size wakes that aren't as wide as you might think, thanks to special cutouts along the sides under the transom. 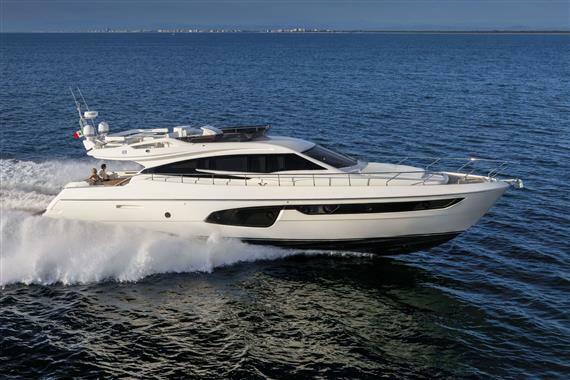 They reduce the boat's footprint in the water for easier wake-to-wake moves while keeping the beam super wide up top for passenger comfort. The handling is also great in whitecaps or through double-ups because of the Supra emphasis on deadrise and a drop keel, which creates a side profile not unlike a Ginsu knife--perfect for slicing through chop. 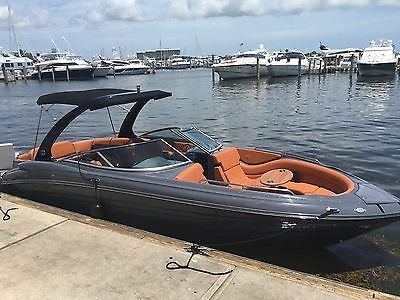 Overall, it's a very stable ride for cruising the big lake while sprawling out on the innovative seating, including a mini bench behind the driver's seat and flip-up seat backs throughout. Yet the Supra Sunsport 24 V is just waiting for you to unleash it for wakeboarding or wake surfing. Also, the engine was replace in this boat in spring of 2015. The boat has approximately 300 hours on that engine. SPECSPassengers: 16Dry weight: 3,950 lb.Draft: 26 in.Load capacity: 2,300 lb.Fuel capacity: 52 gal.Storage capacity: 130 cu. ft.Bow: 10 cu. ft.Center: 70 cu. ft.Rear: 50 cu. ft.Platform: 10 sq. ft.Interior gunwale height: 30 in.Sun-pad area: 81 sq. ft.